Creative Innovation Developers is a licensed, insured and bonded construction company specializes in construction and remodeling of residential and commercial services in terms of new construction, room additions, general home remodeling, kitchen and bathroom remodeling, innovative and modern design solutions, architectural and engineering plans, site analysis, permit and zoning applications. We always go above and beyond to deliver the best service to our clients by exceeding their expectations. Creative Innovation Developers will guide you through all the steps of the process and answer any of your questions. We offer stress free construction and solutions to your projects to fit your budget,needs and manage the construction process of your dream home. Creative Innovation Developers is the ultimate solution to design, build or remodel your home to the smallest details. With us it will no longer be a difficulty for you to handle. Call us to get Free initial consultation with free estimate. You Dream We Design & Build it for you ! Expo Remodeling has been in the business of home building for several years already. Our specialization is Eco Home Remodeling. We are specializing in: Bathroom Remodeling, Kitchen Remodeling, Remodel to Accommodate a Disability, Additions, Room Extensions, Concrete, Patio Covers, Interior and Exterior Painting, Drywall , Insulation, Fences, Gates, Flooring, Foundation, Heating and Air Conditioning, Plumbing, Electrical, Roofing, Windows, Doors and Pools. By calling us, you will be given the chance to speak to our trained customer service personnel who can answer all your concerns regarding house remodeling. By the way, we also hire certified workers who make up our competitive group of home builders. Our workers are certified, competitive and experienced that becomes their advantage. Since 2001 LAVIE Construction is a home improvement company that provides high quality, full service consulting, design and building solutions. We run our business on principles of integrity, partnership, dedication, fairness and respect. We encourage teamwork, safety and trust, and believe that our work is a partnership with our clients, and we help them to realize their vision. We have developed a highly skilled innovative and creative team that allows you direct contact with the owner and experienced top management team during all stages of your project. We believe that our emphasis on honest, open communication with our clients and detailed pricing is what draws our customers. Our attention to every detail ensures that you receive the highest quality of construction, accommodation of budget and schedules and the highest level of workmanship available. We are hands-on at every stage, yielding the greatest benefits to your bottom-line. We take pride in our client and employee relationships and constantly strive to exceed expectations. Lavie construction is fully licensed, bonded and insured general contractor and remodeling design company that strongly believes in adding value with quality remodeling and fair pricing, Let us guide you with our full-proof method of getting your project completed on time, correctly, the first time around. Customer satisfaction is always a top priority and we thrive on our clients input. We hold ourselves and our employees to the highest standards, which is why each of our employees are professionally trained and qualified to do the work. We provide specialized help geared towards each client’s custom needs. Each project is completed to fit the client’s individual needs and life style from start to finish. 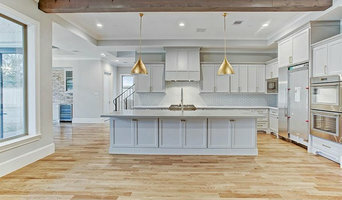 Westside LA's Top Kitchen & Bath Remodelers - Best of Houzz 2018-2019! Floors are one of the most important investments you can make to your home. Redefine your living space with quality floors from Sequoia Flooring. We have got flooring materials for every project. Browse our wide selection of quality wood flooring available at an unbeatable value. We offer both traditional and contemporary flooring in a broad range styles, cuts, colors and finish options. Compare the benefits of our various lines and discover the best flooring product for your project. Explore our selection of traditional hardware flooring or browse our exotics like our trend-setting bamboo flooring. For a most cost effective alternative, we offer a wide selection of quality laminate flooring. Whatever your flooring requirements, Sequoia Flooring will provide you with the perfect flooring solution. We are a full-service, local renovation company that specializes in bathroom and kitchen remodels, room additions, flooring, and roofing. Whatever your needs, we’ve got you covered! Our experienced team of professionals is passionate about bringing your vision to life. We know you take pride in your home, and that’s why we take so much pride in our craftsmanship. Whether you’re interested in a complete remodel or a simple update, we’re committed to creating a space that you love. Give us a call today to find out how we can help make your renovation dreams come true! ABOUT: Double Oak Construction is a family owned business that delivers top quality products and amazing services at competitive rates. Our goal is to design and provide you with your dream house, and to make the remodeling process an enjoyable one! We have become one of the most competitive in the industry by simply operating by our core values: customer satisfaction, timeliness, effective communication, and quality work. Owner, Ron Ratoviz, has 27 years of industry experience and knowledge. Having spent so many years in the field, Ron quickly learned that a poorly managed project creates a giant headache for the homeowner. Renovations and remodeling should be a seamless process. Therefore, Ron has made it his personal mission to oversee the delegation and management of all projects. From coordinating permits, plumbers, electricians, and inspections, Ron and his team handle it all so that you don’t have to. THE DOUBLE OAK DIFFERENCE: We are a family business with a lot of heart. We only employ good people that take pride in what they do. We have top architects, engineers, framers, designers, and craftsman carpenters in our firm, which allows us to offer extremely customized services. We also have a list of lenders that will provide you with the best financial solutions for your project. We love what we do, are proud of our work, and are so appreciative of the positive client relationships we have built over the years. We encourage you to read what our clients are saying about us, and hope you enjoy browsing our profile! 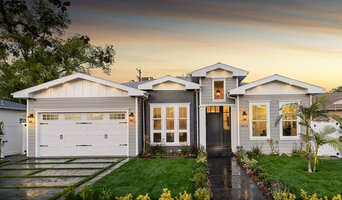 Los Angeles' Affordable & Reliable General Contractors Best of Houzz! For over 35 years, Green Renovation Group, Inc. has been providing customers with exemplary service. We pride ourselves on our ability to take what may be considered a daunting task and turning it into a stress-free experience. Our main priority is to build long-lasting relationships with our clients while providing them with the integrity and high quality we are known for. Green Renovation Group Inc. started with a simple idea – to help people beautify their homes and make them more efficient. Today, even after decades in existence, we still believe in that idea and are committed to offering nothing but the best. We provide a wide range of services that include everything from bathroom and kitchen remodeling to solar panel installation. 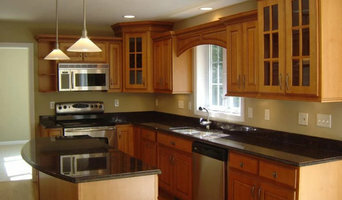 If you are looking for a reliable home remodeling company in Southern California, then you’ve come to the right place. Get in touch with one of our friendly professionals today and let’s make your dream house a reality! Our Values 1. 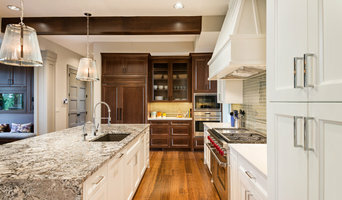 Efficiency: Being a professional home remodeling contractor in South California, efficiency is one of our core values. We try to be efficient in everything we do – right from planning to execution. 2. Affordability: We keep our prices reasonable so to keep our home remodeling services within everyone’s reach. 3. Complete Client Satisfaction: We realize it’s your home. That’s why your complete and absolute satisfaction is of paramount importance to us. 4. Transparency: We are completely transparent in whatever we do. We inform you before we do anything and keep you in the loop at all times. The quality of our work is of utmost importance, but so is the overall customer experience. Maintaining our high standards requires hiring, training and keeping exceptional employees that share this common passion. We have an excellent team committed to the STS process, and one of the lowest employee turnover rates in the industry. While other companies subcontract most of their work, we perform almost every trade with our own highly trained work force. This enables us to be more efficient than most in our business, and that facilitates a faster path to the best finished product, whether it’s a minor repair, or large-scale envelope remediation. Call for a free estimate! Diligent Construction, Inc is a full service General Contractor servicing the Greater Los Angeles Area. With the highest standard in mind, Diligent Constructions primary goal is to efficiently service clients needs with the ability to customize strategies to meet the desired budget in a timely manner. From small remodeling projects, additions, to full turnkey construction, we will make the process as seamless as possible. Welcome to Sprint Remodeling and Design Inc. SR&D is a family owned and operated home improvement company with 15+ years experience. We improve lives by improving homes. Whatever dream you have for your home, we bring it to life. Most of our business is conducted in L.A. county, and the surrounding metropolitan area. We specialize in many type of home remodeling needs all around the Los Angeles area. Our full-service Los Angeles remodeling company handles all aspects of bathroom renovations and kitchen remodels from plumbing, electrical, carpentry, structural and permits coordination to installing cabinets, countertops, and flooring. Whether you're looking to redo your kitchen or create an outdoor space made for entertaining, RemodelIt LA manages the entire process quote to clean-up. The team of experienced general contractors, interior designers, home builders, structural engineers, plumbers, cabinet makers, and remodeling pros provide quality workmanship and personalized service. Contractor and construction services include flooring, cabinet, countertop and fixture installation. Your project, from the design phase till completion, is personally supervised & managed by CSLB licensed Engineer and Contractor Joe Grimberg. This way, there are no miscommunications, because there are no middle men.With us, its personal. From the very beginning, when you schedule your FREE in home estimate, through the design phase to the beautiful completion of your remodel, personally manages each step smoothly. This is the case with every project to assure your job is completed with utmost care, ON TIME & ON BUDGET. I provide each client a written itemized schedule for all stages of your remodel, from the start to the completion. So you know exactly what to expect next. I personally manage each project I take, from the design phase to completion, assuring optimum results. FREE Consult & Price Quote 1-800-840-5377 or My Cell 818-633-5462 Turning remodeling wishes into reality, ON TIME & ON BUDGET, From foundation to roofing, including electric and plumbing. I hold a CSLB Engineering and Remodeling license, with over 25 years of on site experience. I have completed many jobs small and large to give you the piece of mind you are in good hands.